Surprisingly, there are many great options in North Carolina and Tennessee. Instead of hopping online to try and figure out the best place to ride, just keep reading! Grand Prize Promotions has included the top 5 places to take your motorcycle: where to stop and where to visit! Here we go! Making the list at number 5 is the beautiful 68-mile route, Beartooth Highway, that is split between Montana and Wyoming! It features 20 different mountain peaks that reach over 12,000 feet! This spot is well known for its thunderstorms and heavy winds, and this location has even seen snow during the summertime! Why not make it a full trip? Beartooth District has a campground located in the Custer National Forest. Grab your camper, trailer, and bike to make an entire weekend of this beauty. Friends at Beartooth All-American Road say to plan for the weather – pack warm jackets and hats for the cool nights and additional footwear and clothing during the days. 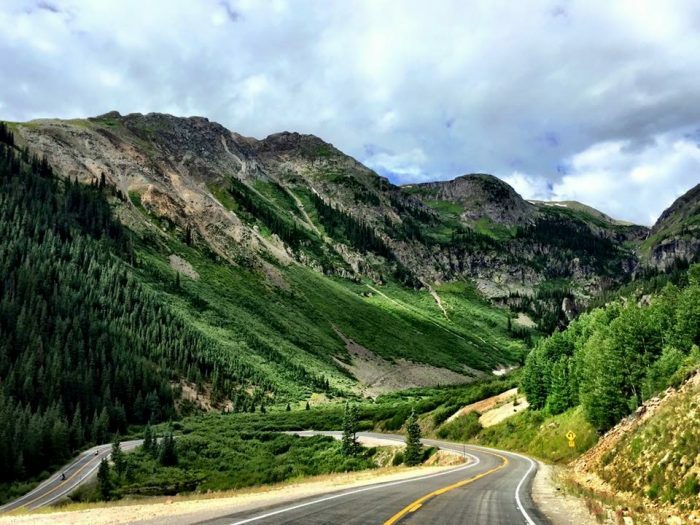 Keep planning your trip to Beartooth Highway and let the pros tell you what you need for a cool bike ride in the mountains! 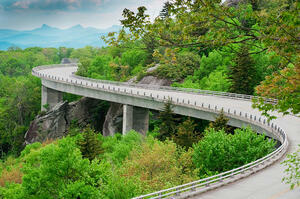 Coming in at number 4, Blue Ridge Parkway is located in Virginia and North Carolina. This route boasts 469 miles of the Blue Ridge Mountains. You will weave your way through vibrant agricultural history, Southern Appalachian crafts and music, and you won’t want to miss all the beautiful, natural habitats. Blue Ridge Parkway is known for its biodiversity because there are rare habitats that the average person doesn’t get to see. Don’t forget to stop by Biltmore Estates and get a tour in! It is the largest house located in America surrounded by lush gardens and mountain views that are to die for. Spend some of your time touring the estate and enjoy some wine while you’re at it! Blue Ridge Parkway Association has done a fantastic job outlining different options during your route, so start planning your trip today!! Twisting their way into third place, Twisted Sisters is located in the great state of Texas! This route consists of 3 different Ranch Roads (335, 336, & 337) in the beautiful hill country of Texas. These roads are definitely not meant for amateur riders because it takes riders through a 100-mile loop through ranches, valleys, and hills. 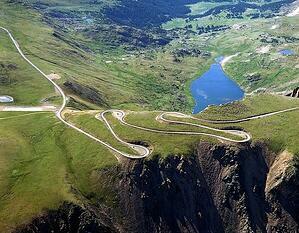 One of the 15-mile stretches is said to have 65 curves. Don’t forget if you are visiting during the summertime, take some towels and snacks to enjoy a refreshing dip in the Frio River! Need a place to stay? Check out D’Rose Inn and Cabins in Leakey, TX! Want more ideas for your trip? Continue reading a blog by Russ Locke that describes his visit to the Twisted Sisters. Claiming second is Cherohala Skyway which is located in Tennessee and North Carolina. A 43-mile stretch through a National Scenic byway that reaches an elevation of over 5,400 feet. The Skyway was opened in 1996 and cost over $100 million to construct. The Tennessee Department of Tourism says not to miss the Visitor Center before you head up. You can receive your free map, grab a souvenir, and even picnic before you head out. Activities along the way include hiking, kayaking, bird watching, and so much more! Learn how to plan your trip thanks to cherohala.com! 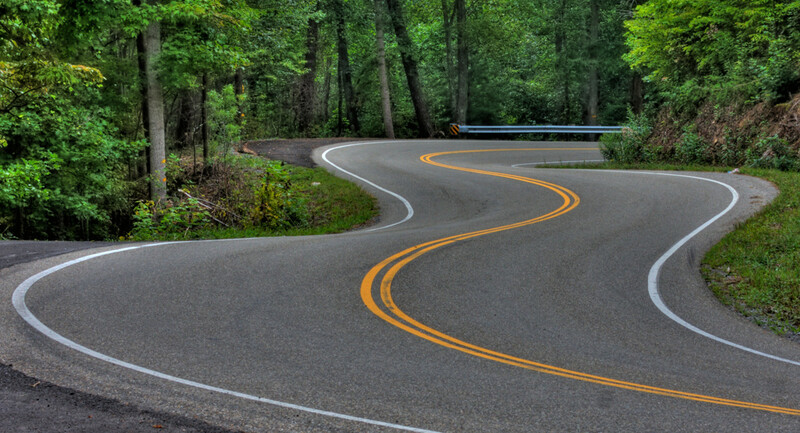 Taking the number one spot for the top place to take your motorcycle is Tail of the Dragon in Tennessee. 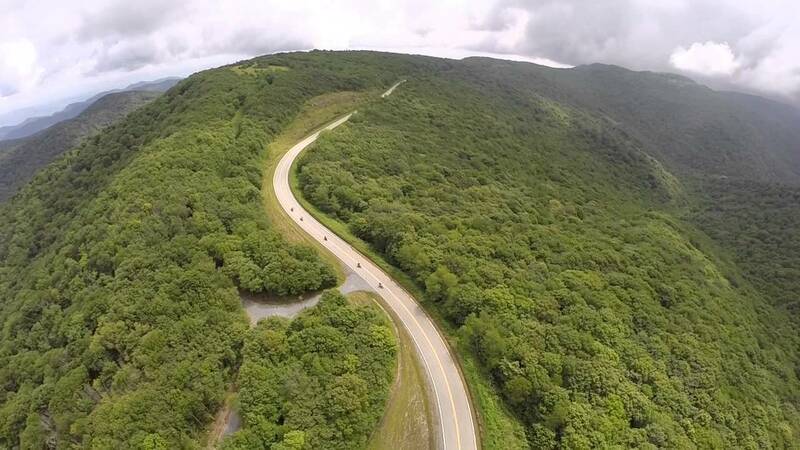 This 11-mile stretch is also known as Deal’s Gap and is considered to be the best motorcycle road in the nation. It gets its name for being shaped like a dragon’s tail and by containing over 300 curves. So, don’t forget to stop by the Tree of Shame exhibiting the motorcycle parts of the riders who couldn’t slay the dragon! Other things to enjoy includes fishing in Snowbird Creek or Nantahala River, white water rafting down the Cheoah River, and visiting the local waterfalls. So, grab yourself a room and enjoy this area for a few days. Visit tailofthedragon.com to learn all the details of booking your trip! Are you surprised by the ones that made the list? We definitely are since we are located in Georgia! The number one place is just a few hours away which means the GPP team will be headed up to Tennessee this summer to slay the dragon! Just kidding, but you never know! Grand Prize Promotions is here to support all of your motor sports needs. If you are looking for more information, download our information flyer to share with your committee and maybe even your sponsor!